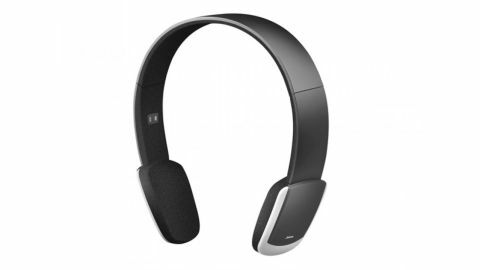 The Jabra Halo2 is a Bluetooth headset that enables you to make and receive phone calls, as well as listen to music, from your Bluetooth-enabled smartphone wirelessly. The headset itself is pretty small, and attractively designed. The padding on the speakers for each ear is pretty thin, and while this helps keep the overall size of the headset down, it makes it a bit uncomfortable to wear, since you can feel the plastic edges of the headset pushing against your ears. Pairing with a Bluetooth-enabled smartphone was very simple - just pressing the single round button on the headset enables the smartphone to find the headset, and after typing in the default passcode it was ready to go. The sound quality was great, and although the microphone is discretely built into the headset - presumably to keep the aesthetics nice and simple - it picked up voices clearly. The design also enables you to fold the headset so that is it very easy to compact and carry with you. Volume can be controlled via the headset as well. While not the most comfortable headset in the world, the Jabra Halo2 is portable, looks good and sounds great.